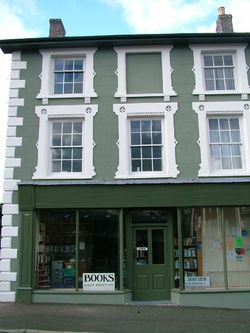 The Dyfi Valley bookshop is a small town bookshop established in 1988. We have a mixed stock of out-of-print and collectable books, and specialise in archery, for which quatrterly catalogues are available. We ship same day wherever possible. Returns are accepted but return postage will only be refunded if the goods are not as described or were damaged in transit. Mailing insurance is free on all purchases.